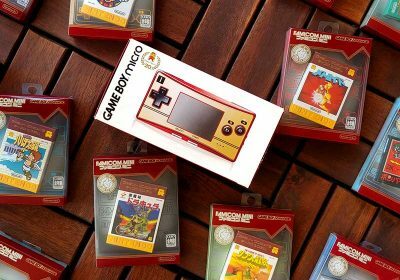 As the first installment of my Games That Pushed the Limits: Portable Edition, I chose to take on the games for both the original Gameboy and the Gameboy Color. While most of the games that I cover in this piece are only playable on the more powerful Gameboy Color (The processor is twice as fast as a Game Boy’s, and has three times as much memory), there will be some mentions of some games that were primirily for the original Gameboy. It was quite a chore going through the Gameboy’s large library (especially when you consider how long the handheld was on the retail market), so I’m sure I missed a few titles. I’m still digging around more, so I just may find some more titles to add to this list. Either way, I’m sure you will find some times below that are quite impressive for this little 8-device. When I first mentioned that I was doing a Portable section of my “Games That Pushed The Limits” series, I had numerous people recommend that Shantae be included. 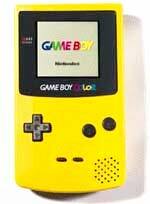 You can’t blame them as it set the bar for what the Gameboy Color was capable of. Unfortunately, Capcom released this game as the Gameboy Advance was capturing the attention of portable gamers, so there were few Gameboy Color games still reaching the market. 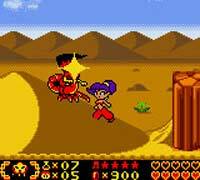 The GBA was mostly receiving simple NES and SNES ports that had yet to even push the new portable, so Shantae actually held up quite well to the early GBA games. The visuals easily match, and in some instances, exceed those that have appeared to date on the GBA. The developers have also employed some clever routines with color and light sourcing to give a wonderful illusion of time in both day and night. This 2D platformer may be graphically simple by today’s standards, but the colorful graphics look very nice and features superb animation. Shantae (who happens to be a genie) moves very fluidly–especially when performing her special dance moves. It is sad to see such potential end so abruptly on the Gameboy Color. 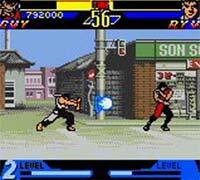 Street Fighter Alpha was undoubtedly the best fighting game on the original Gameboy hardware, and it is strong competition for the many fighting games that Neo-Geo Pocket owner cherish. I think it would also make a cool little bonus unlockable in the upcoming Street Fighter Alpha Anthology, but I’m not guessing that will happen. In 1983, the original Dragon’s Lair from Don Bluth Studios broke ground with its own brand of motion-picture-quality animation and charming story. Eighteen years later, Digital Eclipse and Capcom released a Game Boy Color conversion, and despite some cutbacks, the translation is amazingly faithful. The gameplay isn’t exactly cutting edge, but the experience is immensely pure and the onscreen result is immediately gratifying and you can’t ignore how good the game looks on the screen. The motions are smooth and the graphics are quite vibrant using the limitations of the GBC. 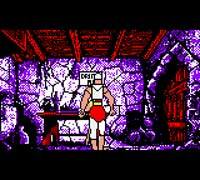 Dragon’s Lair purists will find faults throughout the game, but you have to give credit where credit is due — the Game Boy Color was never designed for this type of game. 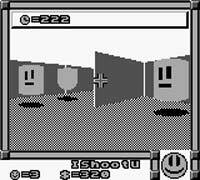 A First Person Shooter on the Gameboy? Yep! And it’s not even a Gameboy Color game. Faceball 2000 is an amazing update of a PC game called MIDI Maze. This unique and quirky game is like Doom, except that the monsters are replaced with smiley faces. The graphics are actually 3D and are absolutely amazing considering the hardware we are speaking of. Considering its age, it’s actually not too bad in terms of gameplay either. If you can actually get 15 other people with the same cartridge, you can have a 16-player deathmatch. Good luck finding 1 person. With all of these capabilities, there aren’t even many FPSs on the Gameboy Advance that can rival Faceball 2000. 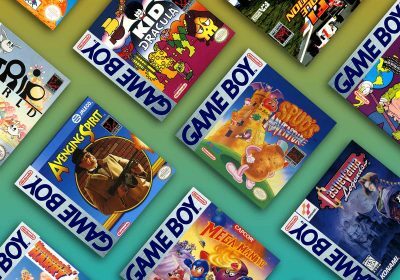 Sure, it’s easy to take a high-end Super Nintendo game and port it to the Gameboy Advance, but what about cramming one into a Gameboy cart — and still have it turn out good? 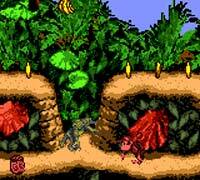 The original Donkey Kong Country blew everybody away when it was released on the SNES. 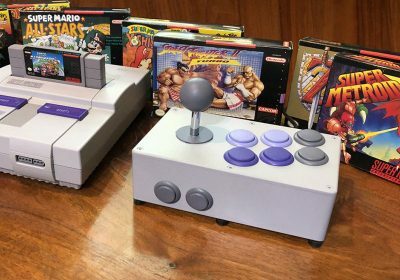 But who would have thought that Rare and Nintendo would be able to so closely replicate the look and feel of that ground-breaking game on the aging Gameboy platform. Other than the obviously lower resolution, you might actually find the Gameboy Color version of Donkey Kong Country to be a decent substitute for the Super Nintendo original. The Donkey Kong Land series also made the most of what it could with the standard Gameboy hardware, and while they weren’t nearly as graphically impressive, but the spot-on gameplay and the tight control (especially in Donkey Kong Land 3) resulted in a top-notch Gameboy Color title. 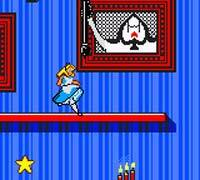 While I didn’t enjoy the actual gameplay of this portable “thriller”, the graphical techniques were fairly interesting to see on the Gameboy Color. Developers Pocket Studios to created a pseudo-3D environment by putting your character in a series of beautiful pre-rendered environments and having certain points by which your character changes size to make it look like the character is moving towards and away from the camera. There are over 300 of these high colour environments and 6 different camera angles in total in the game, another feat to pull off on a Game Boy Color. 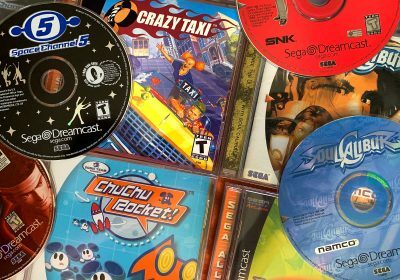 I was first exposed to this great puzzle series on the Sega Dreamcast and grew to love the cute and colorful game on Sega’s last console. I’ve also seen ports of the game Gameboy Advance and Playstation, however, when I loaded up the Gameboy color version, I expected to seem a cheap port with a relatively rough appearance. 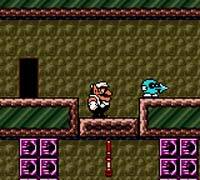 To my surprise, the Gameboy Color version of Mr. Driller was an incredible example of both wonderful colorful and smooth animation and gameplay. While playing this game on my Dreamcast Gameboy emulator, a person walking by the TV could have easily mistaken the game for the Dreamcast version — its THAT good. 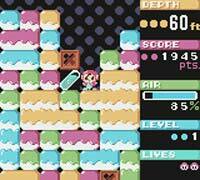 I didn’t feel like I was missing much from the full Dreamcast Mr. Driller experience other than maybe the music. While Mr. Driller for the Gameboy Color doesn’t use any highly technical graphical effects (what version of Mr. Driller did? ), it definitely makes the best use of the Gameboy color’s limited color palette in addition to maxing out the handheld’s memory to keep the animation and gameplay smooth. When I loaded up Cannon Fodder for the Gameboy Color, my jaw nearly dropped as I was amazed that the game’s intro video and animated menus were actually running on a Gameboy. Just the menus alone make this game worthy of being on this list. Seriously. The rest of the game isn’t too bad either. While the main gameplay graphics aren’t techincal masterpieces, it features lush terrain, and nicely-animated sprites. The gameplay is pretty fun if you enjoy real-time strategy games. While the full-motion video and such is nice, most of the cart space is dedicated to the audio portion of the game. 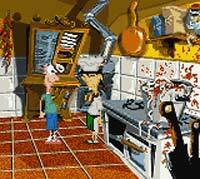 A nice digital tune plays during the opening FMV, and the voice work is very well done. In fact, the voice work is so clear, you won’t believe this is coming from the single GBC speaker. Even though its not in 3D, the graphics in Perfect Dark are still a highlight, with some of the smoothest animation seen on the Gameboy. Joanna is rendered fairly large walks very naturally. 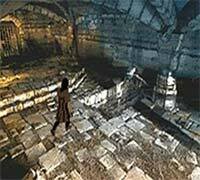 The game is viewed on an angle from above, and the game includes some basic “cut scenes” that add to the story. Perfect Dark probably has the best sound of any original Gameboy game. The digitized speech in the game is gonna blow you away. There must be like 5 minutes of it — pretty good for a Gameboy cart. I didn’t enjoy the gameplay nearly as much as Metal Gear Solid, but the animation and large sprites definitely pushed the Gameboy Color’s extra power. These two Gameboy Color games are third person adventure games that have a similar style to the Lucas Arts PC adventure games of old. They were both humorous and enjoyable, but they also utilized the color palette to effectively create enjoyable scenes. 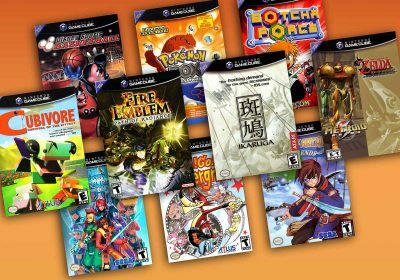 If you haven’t already, be sure to check out the entire “Games That Pushed The Limits” series and watch my site or subscribe to my feed to keep up on my coverage of the other portable systems. I had no idea there were so many great Gameboy games..I’m gonna have to try out a few of those. Street Fighter looks interesting. Wow you’ve got a lot of great picks here! 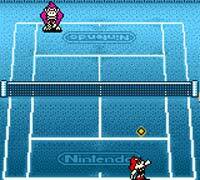 Faceball 2000 was a classic game and awesome to play with the link cable. 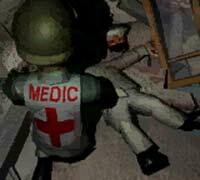 I can’ believe Alone in the Dark and Cannon Fodder looked that good. I’ll have to check these out now. gameboy? *shrugs* not interested. gamegear/nomad/lynx, though, i’d like to hear about. even among new portables- PSP is much nicer. The rest of the portable systems will be covered in the near future. Yes, do one for DS and PSP. I want to know how these CURRENT GEN handhelds have pushed the limits. That would NOT go against the entire title of the site would it? I mean, RetroGaming……aw crap it does. I was really impressed by this post, moreso than any of the other “push it to the limit” series posts. I would add Megaman Xtreme series and the GBC Tomb Raider are impressive because they look and feel a lot nicer than most GB games. I think you covered most things, no shout out for Mario on the 64 or james bond tho and come on you can’t forget Mario Kart for the snes either! Well, Daxter and Syphon Filter : Dark Mirror certainly pushed the limits in terms of what PSP can do. 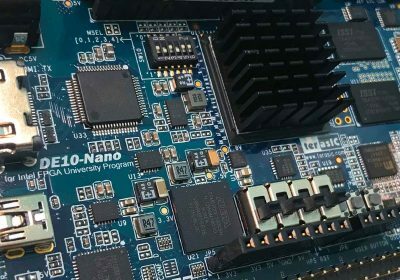 But since its lifecycle is far from the ned, we will see many more breakthroughs (or so I hope) and therefore it’s too early to discuss pushing the limits on PSP. I really think you should have included Pokemon Gold/Silver/Crystal. As well as support for all 251 Pokemon (with backwards compatability), GSC also had a working clock which added time-related quests such as the radio competition, and time-specific challenges such as getting a Pokemon happy & seeing how different it evolves depending on the time of day. That’s not forgetting the large world, with 100’s of NPCs, and the almost endless customisability of the breeding center. There’s probably a bit more to the game than that, too; I’m just listing what I remember best. Does anyone know if there were any 64 megabit (the limit of GBC) games for the Gameboy Color? A bit strange if there ain’t any, since it shoudn’t have been a money issue (if nearly every N64 game was a minimun of 64 megabit in the mid-90s it sure should should be possible on a hand held in 2001). I am a bit disappointed that Harry Potter and the Chamber of Secrets did not make the list. Great post, racket! I loved it! Anapan has posted scans of the Original Game Genie Code Book. nice list but i would definitely put a magination here. although gameplay was based on pokemon (but it definitely was something more than simply copying it)its graphics was artistic and beatifull, plot interesting and original (not that original though) and characters were really good designed and likeable. 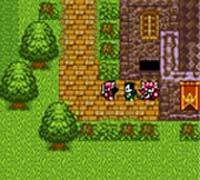 it was one of the best games for gbc but somewhat overlooked. 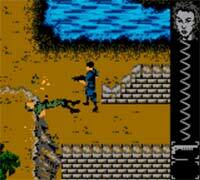 Cannon Fodder looks eye popping. Even if it was a SNES/Sega CD/32x game, it would look impressive. Didnt that also push the hardware to its limits?